Coypu on a water bank. 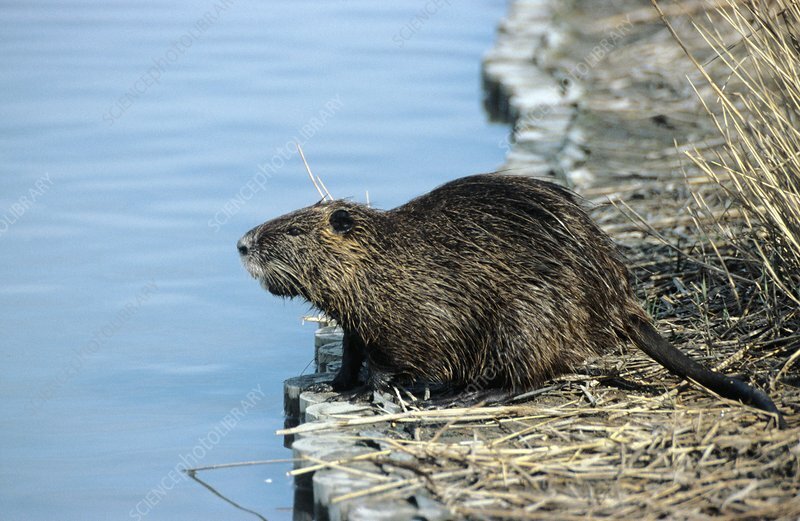 The coypu (Myocastor coypus), also called the nutria, is a herbivorous semi-aquatic rodent that feeds on river plants and lives in burrows along river banks. It is native to South America but has been introduced to Europe, North America and Asia, where it has become well-established. In most regions it is now considered a pest. Photographed in the Camargue, a wetland and salt marsh region in southern France.